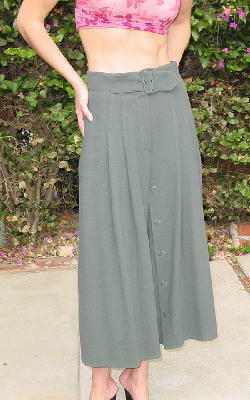 This vintage gray-moss green 100% lana wool culotte skirt was made in Italy. There is a 9" front zipper, a 2 1/2" waistband, and 2 side slant lined pockets. There is a 5-button front below the zipper. 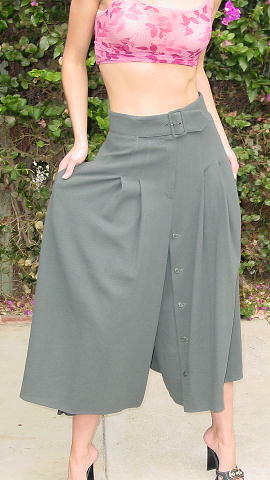 It has 4 front and 4 back 4" stitched pleats. Wear it with boots or high heels. It was used in a photo shoot for a European magazine. waist to hem 35 1/2"